Time to find out a little bit more about me. 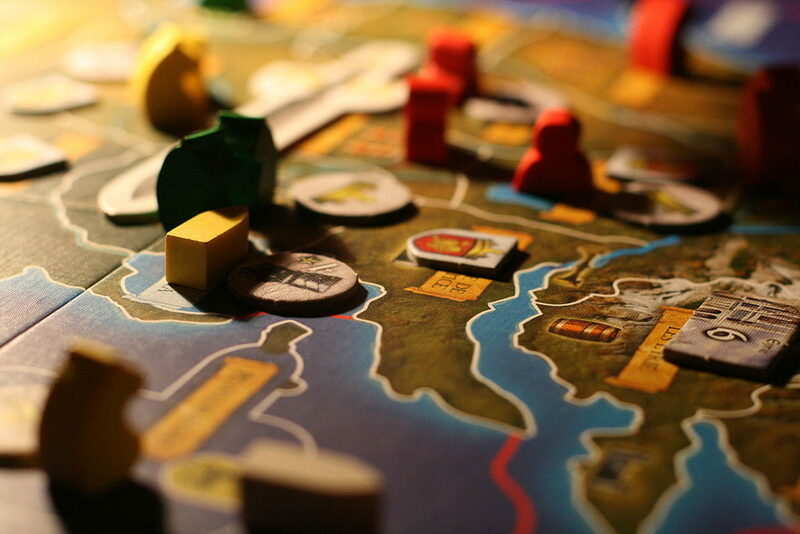 Board games are another hobby of mine and I enjoy playing all kinds. 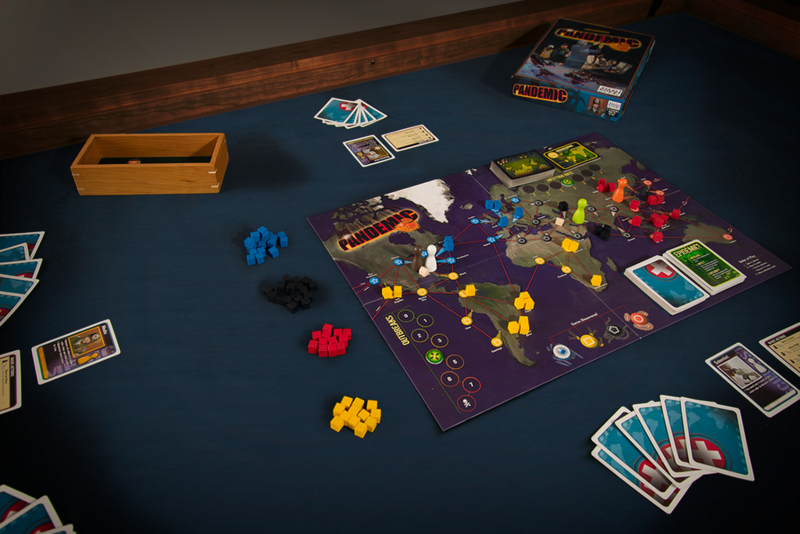 Both the classics such as card games, chess or scrabble and the newest sensations in the board game genre such as Catan, Game of Thrones, Monopoly and so on. I have played plenty and plan to play some more in the future. 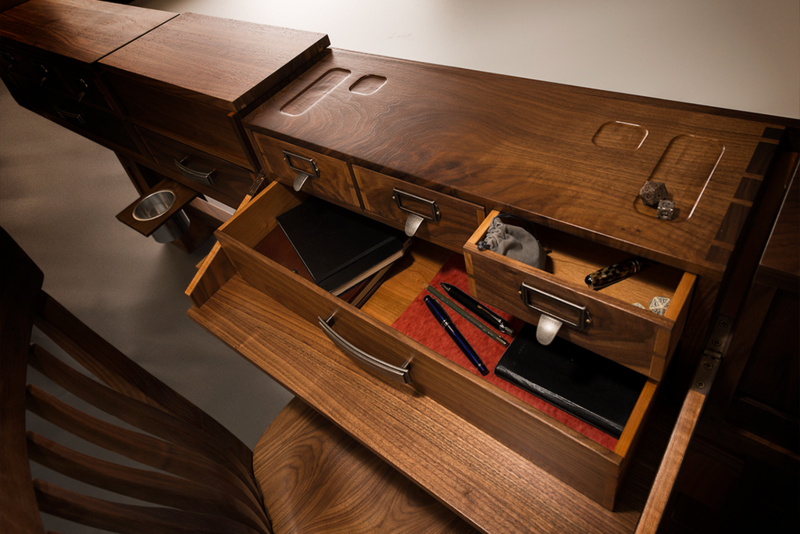 But to do this right, I plan to own a piece of furniture in my future home that I wish to get plenty of use out of. 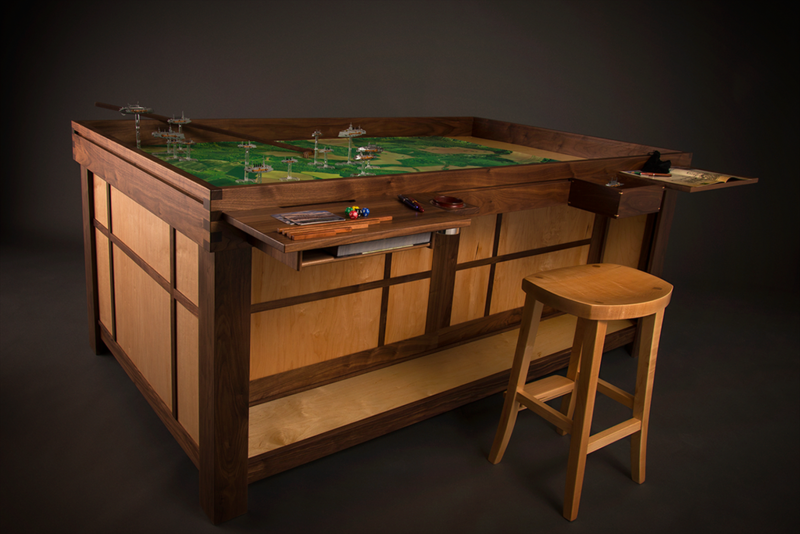 And this particular piece of furniture is a game table. 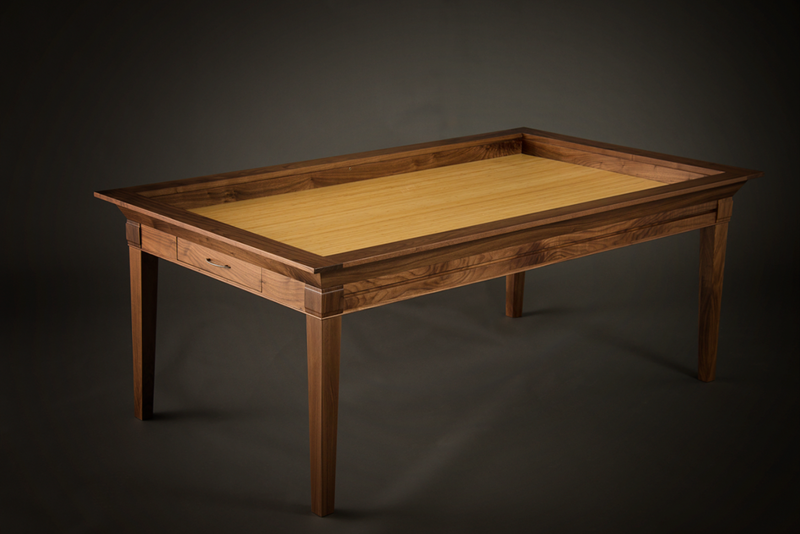 With a large gaming area, seats for 4 to 6 or 8 people and plenty of space for your game accessories or snacks and drinks, these tables will be the highlight of your game room, not to mention that, in need, they can be used as regular tables as well. All these gorgeous pieces come from the Geekchichq website and I encourage you to visit them for further inquiries, details and purchases. We begin the list with the best and most expensive table. This is the one I am sure everyone will want to someday own. And I want to say Congratulations! 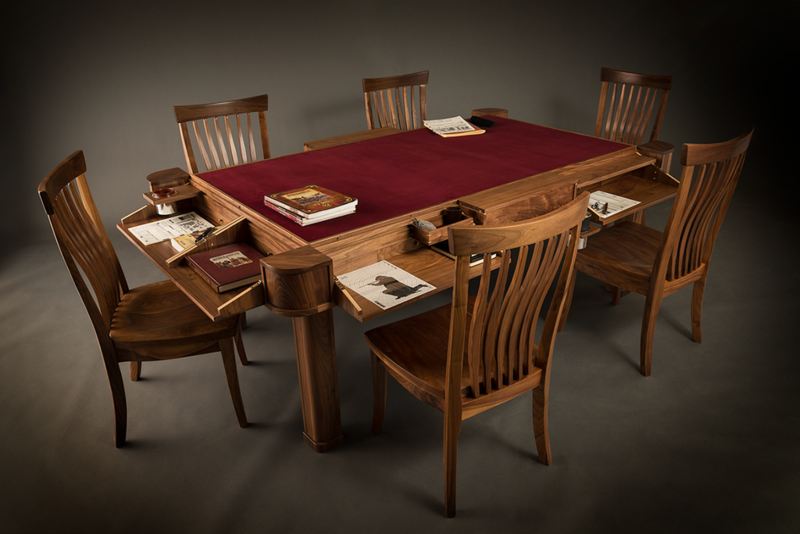 to those who do or will get to own this table because I am sure you will be there before me. But I assure you that I will brag the moment that I will own it, if it ever happens. 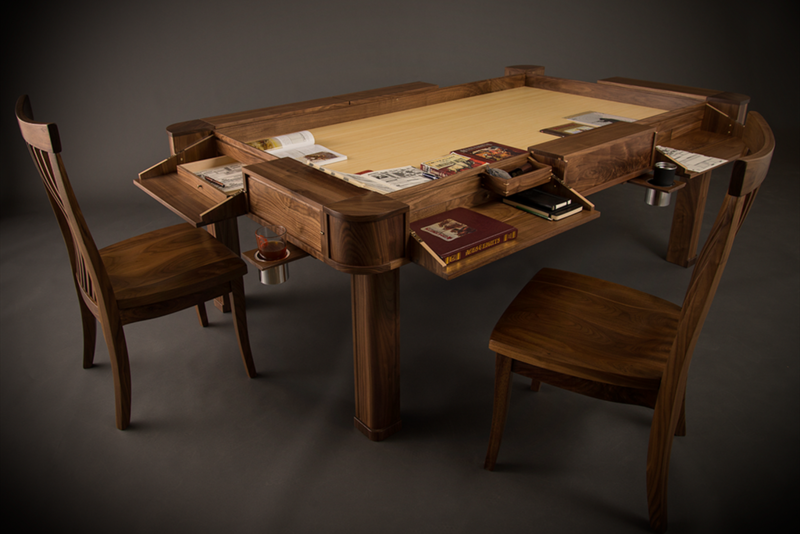 But why do I think I will never own this table? Because simply reserving a place in line to order one costs 5500 dollars. Aren’t you sad you wondered about that? Me too. The actual price varies between 15k and 25k, depending on which size and accessories you choose and, of course, you will want all of them. But hey! Look on the bright side! You can still admire the gorgeous pictures of this table and fantasize about it, just as I am doing so far. 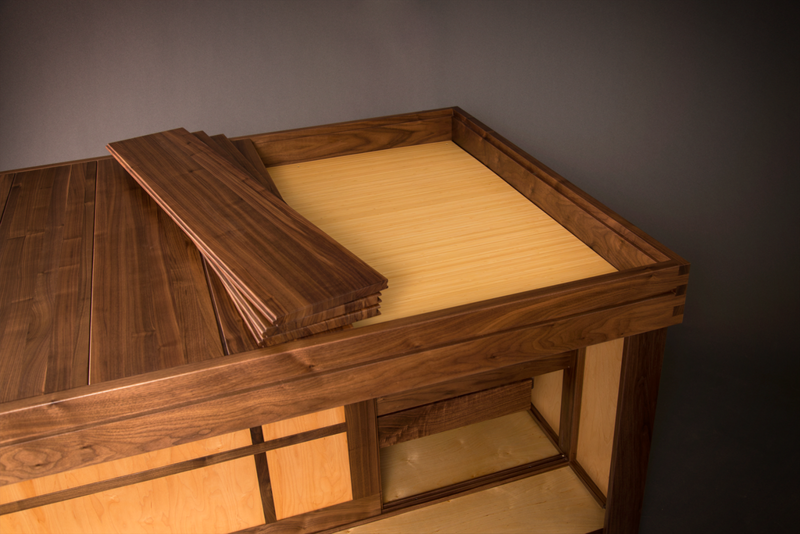 This table comes in two sizes and you can choose from a variety of woods for your final product, which I consider an actual cool and interesting feature which will make each table more unique and special. 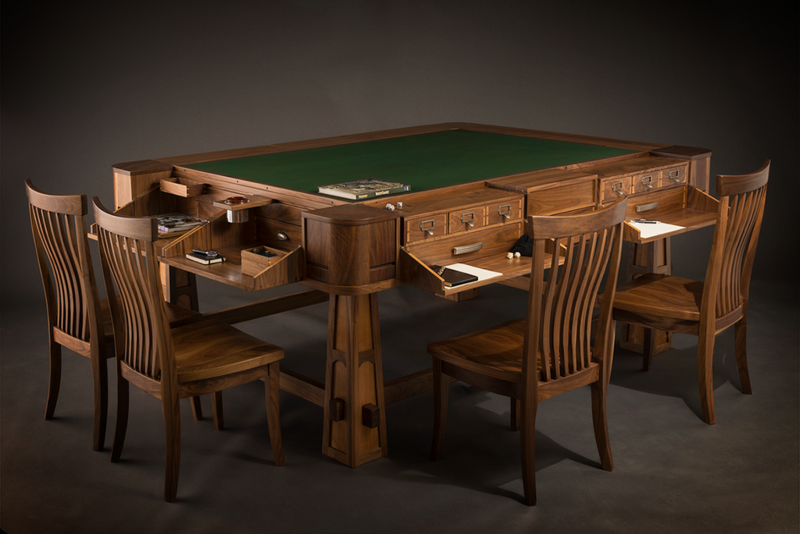 This second choice of gaming tables is kind of a simplified version of the previous. 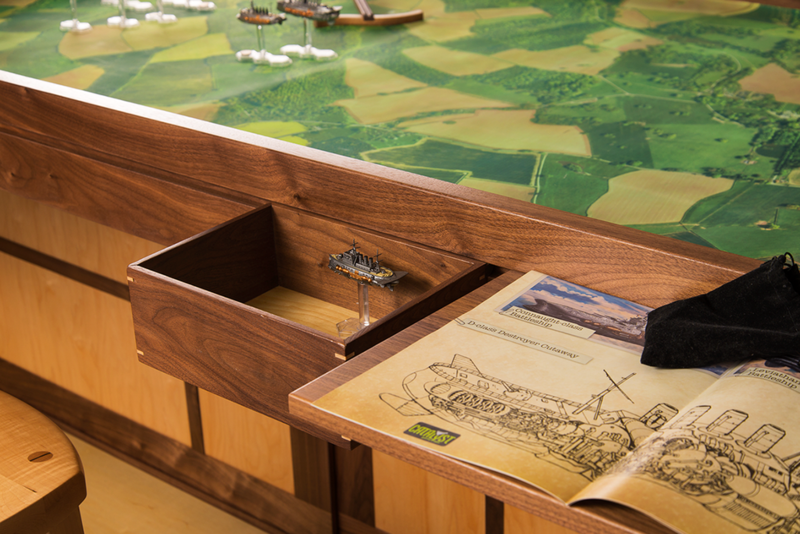 It has a lower price, a simpler design and fewer depositing spacer for all the gaming accessories but it keeps the main aspect of the table, including the extended play stations for each player and the wood cover that transforms it out of a simple dining table into a true gaming experience. 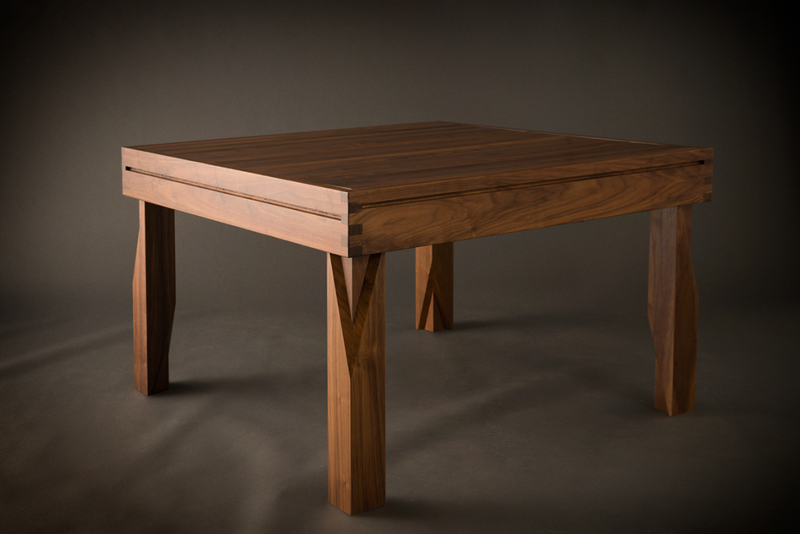 Also, similar to its predecessor, this table has a variety of wood selections and it can include or exclude certain parts and accessories. 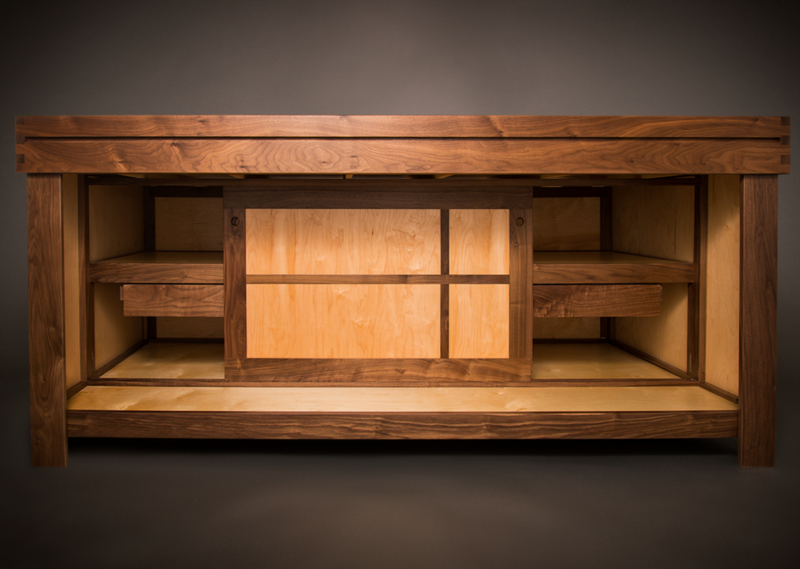 The next option is perfect for a smaller space or if you, as me, don’t have that many friends (haha…it’s true). 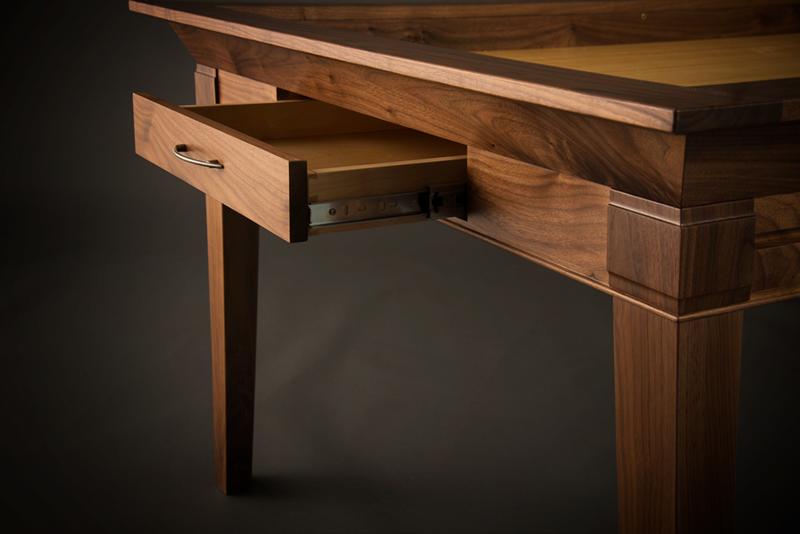 We have, as its name announces, a minimalist table perfect for the needs of 2 to 4 players and their snacks and drinks. 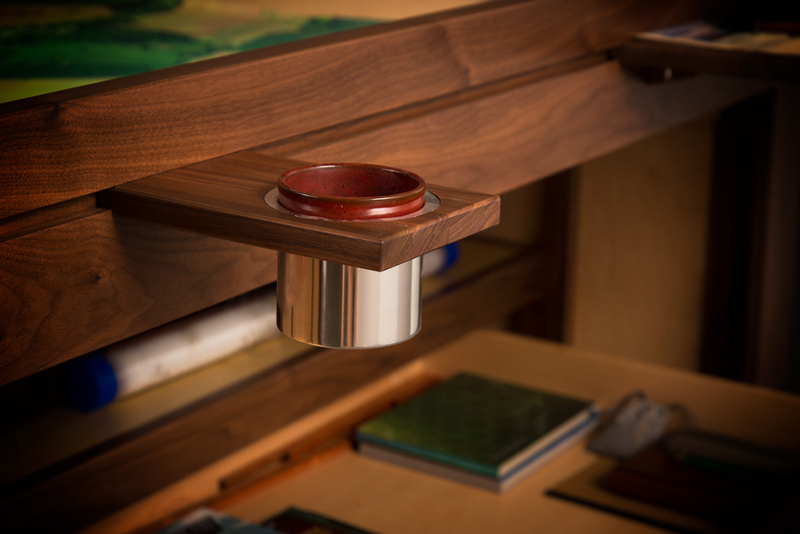 This table has a square shape but its size can still vary and you have a few accessories to choose from if you want to add or leave them out, among which there are also cup holders, small drawers and many other options. 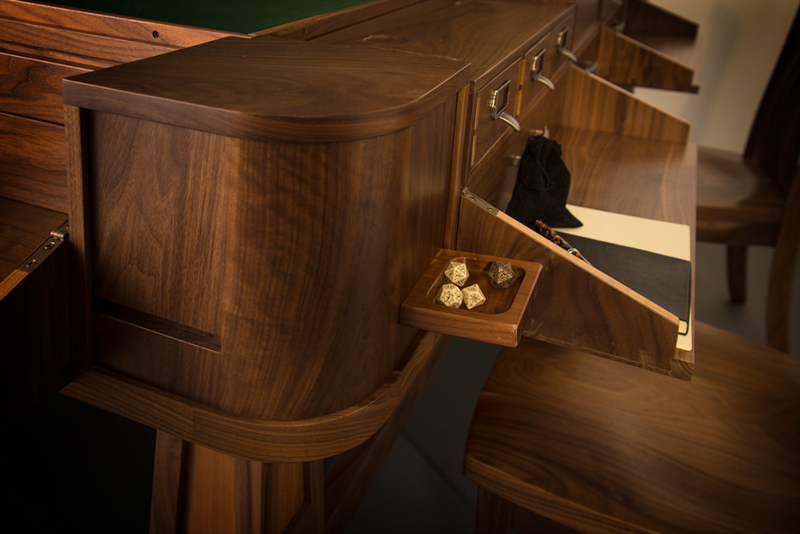 When it comes to sizes you can choose from the height and width of the table to the depth of the playing vault and the rail on the side. There may be those among you who would prefer just a simple dining table that could sometimes be used as a playing field. In this case, this option is the best for you. 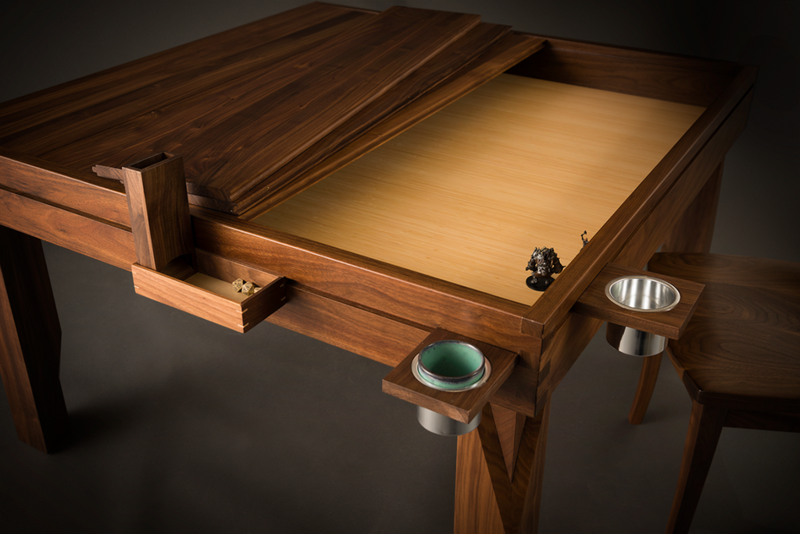 This particular gaming table, with the top on can almost pass the test of a dining table with nothing to hide. 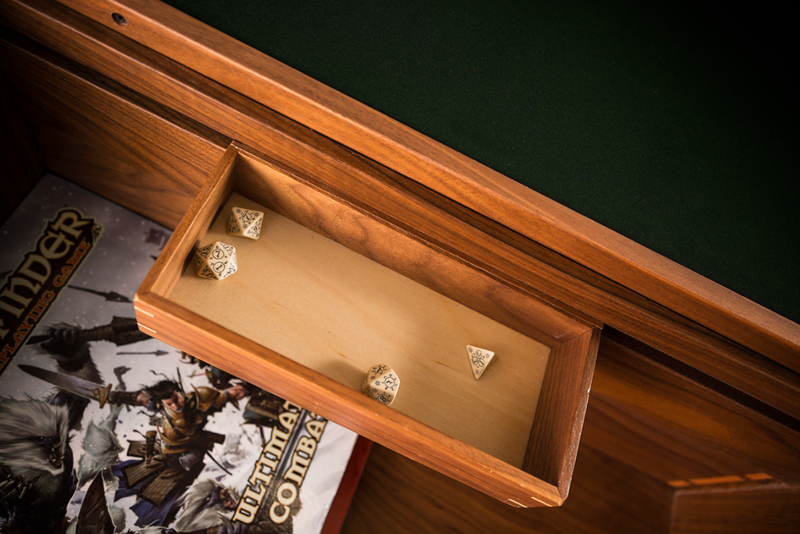 The only thing that gives it away is a small drawer on one side where you can hide your dices and minions until you are ready to use them. Take the wooden top off and this innocent table by day can transform into your little secret by night. 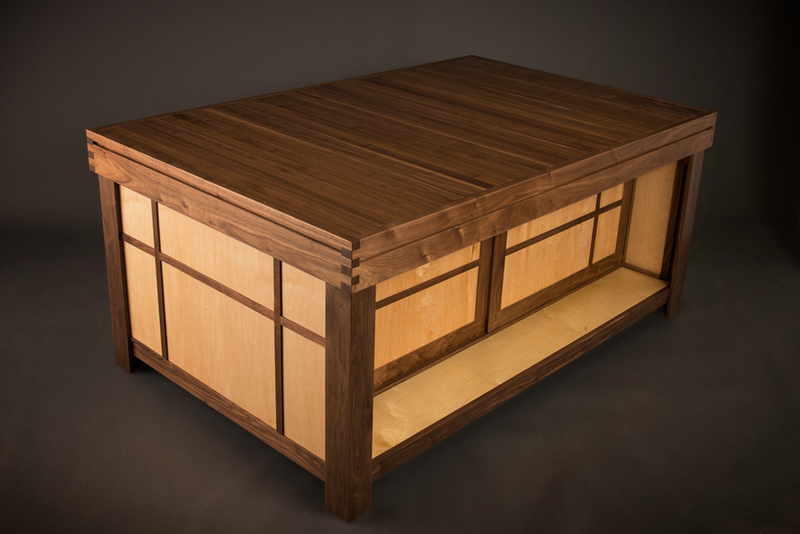 To use a well known reference in connection with this table’s name: THIS IS…The best coffee table ever. 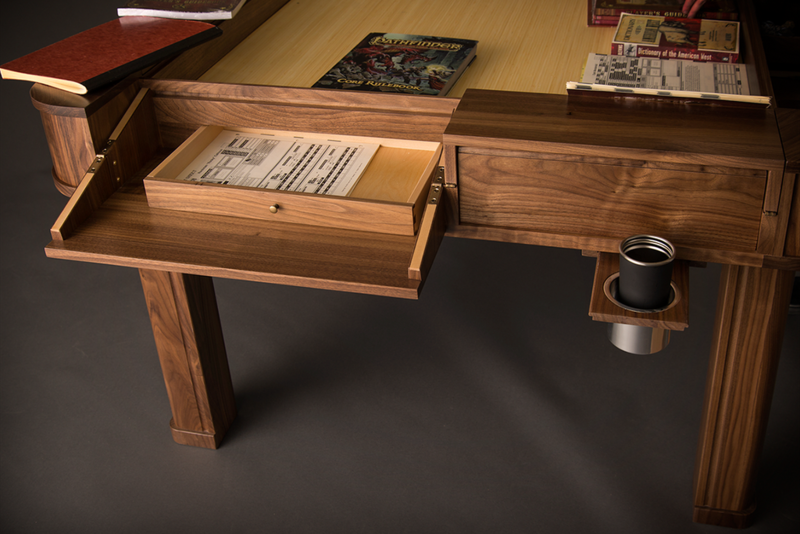 This is an awesome solution if you don’t have enough space for a normal size dining table but still want to impress your friends with a unique and beautiful gaming table that it is also very practical due to its many deposit spaces. 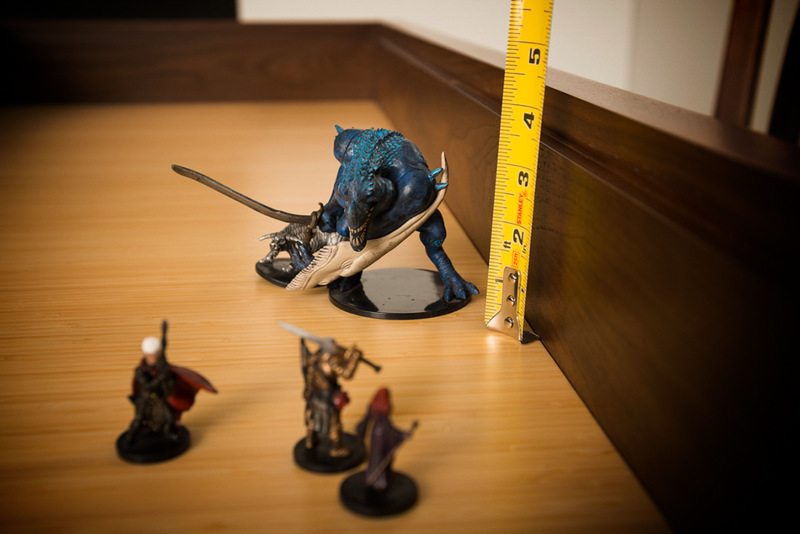 So don’t think that owning a gaming table is a total waste of space. It can actually be the opposite. You can use this argument with your significant other, if they don’t 100% agree with this purchase and you are welcome. I may have helped you win this argument. And we’re at the end of my suggestion list. I hope you enjoyed this post and again, for more details, information and actual purchasing please visit the official website of Geekchichq. 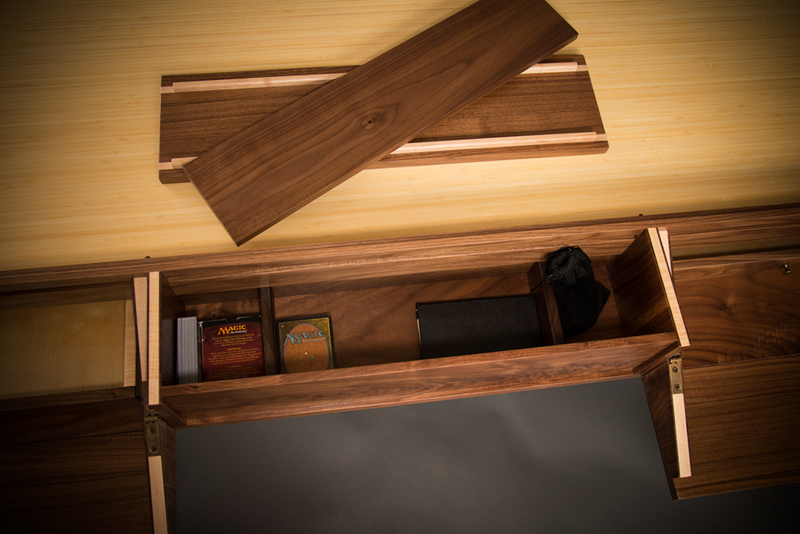 They make awesome stuff, including accessories, storage and many useful gaming related items. I would like to thank them and encourage you to visit them. Turn everything off and take a seat at the(se) dining table(s). Welcome Santa with Milk, Cookies, and new dinnerware!